Hello there, as you may have noticed – it’s been very silent here lately. And I do realize that´s not going to change for a while. I’ve prioritized my own creative projects over this blog for a while, therefore the silence. By the absence of LCP, probably the most popular 8bit related demoscene event in Sweden, a few members of Up Rough Soundsystem, Genesis Project, Divine Stylers & SceneSat Radio took the responsibility of arranging an alternative party. And by tradition of LCP, some quality productions were being released. With the recent launch of ASCII arena the Amiga ASCII scene seems to have had a little boost, resulting in some nice new work being released. Initiated by Uprough and Divine Stylers, both old Amiga collectives. Designed with the look and feel of the classic Amiga (using DMG’s great Amiga fonts) it really is a nice experience browsing their growing database and online community. As October has ended – and new releases kept flowing, it’s an appropriate moment to cover some of these. 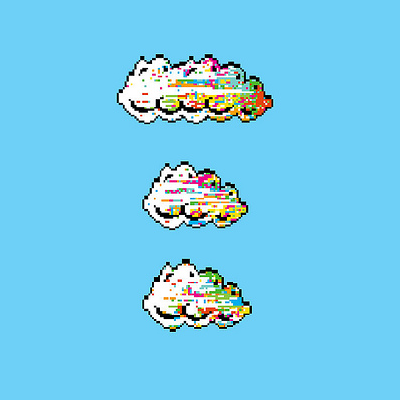 Here’s a list of demos and pixel graphics. Otro is an artist who goes by the name of Julien Ducourthial in real life. An independent artist from France exploring the low tech aesthetics in the fields of pixel art, animation and design with a strong authentic style. Eddie (aka Ed) and James (aka Joe) Svärd are creative 8bit veterans and twins. Responsible for a strong presence in the Commodore 64 demoscene in the name of Wrath Designs by organising and being the core engine of this Swedish team. 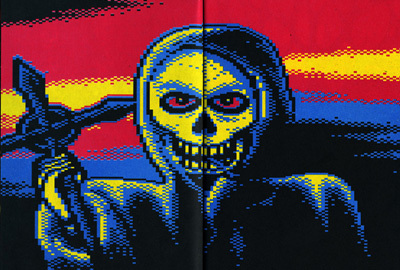 August is only half way, but has already brought us some fine 8bit releases. 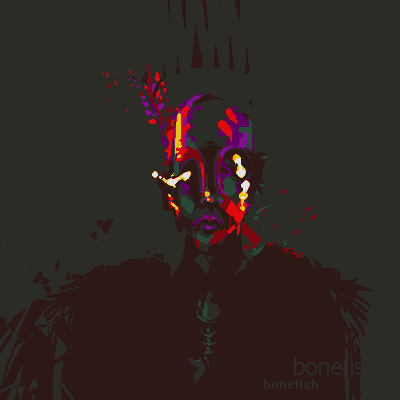 A game, some demos for obscure platforms, glitch art and some pixel graphics are covered in this small list of 7 productions. During last July, Little Computer People aka LCP took place in Malmö, Sweden. This year has topped all previous editions in number of both visitors and productions. A place where you could shake hands with names that usually fill the line-ups of ‘chiptune’ concerts. This time participating as ‘demosceners’ in creative competitions. 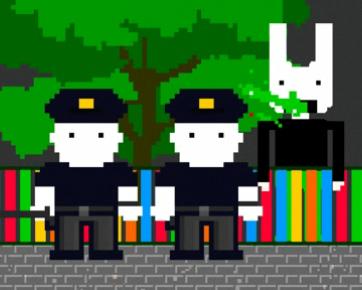 Since the end of the last century, every now and then a new 8bit music video appears. With a great variety of quality, as always there’re some gems included. With the mainstream 8bit retro hype, peaking during the late nineties, this genre was quite hot for a while. Even though the mainstream has abandoned this domain, quite a few people are still working with it. 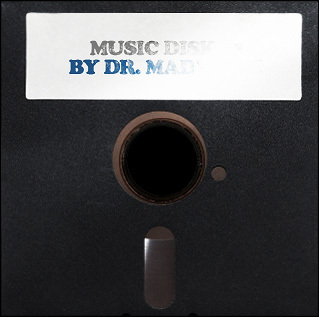 The musical efforts of many, from enthusiastic amateurs to professionals, throughout the history of computers have been gathered and archived by dedicated teams. Some of these are ongoing projects, as even today there’s new music being made for even the rarest platforms. Here’s a list of resources. 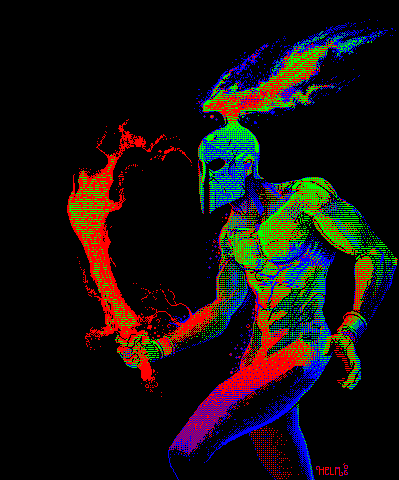 Telemachus Stavropoulos aka Helm is a strong character in the world of pixel art. Where in his daily life he spends his time working as a comic artist with great passion and talent, he deals with pixel graphics in his spare time accordingly. With the same academic and pioneering approach. A retrospect of Tommi Musturi aka Electric in the form of a small book. The title puts his past in perspective, where the slogan might have been ‘Death to all’ in the early 90ties, today it’s ‘Death to most’, a softer parodist reflection of his teenager years. Demoscene parties, a tradition since the early 80ties are still being held today. Little Computer People 2009 aka LCP is one of those parties, although the party itself originates from the demoscene, you’re bound to find creative people of different underground scenes there. Since 2002 there’ve been annual ‘scene.org awards’. Organised by people from the demoscene and with a changing jury every year, these are the most acknowledged annual awards for insiders – the Grammy’s for the demoscene. Here are the 8bit nominations from their list. 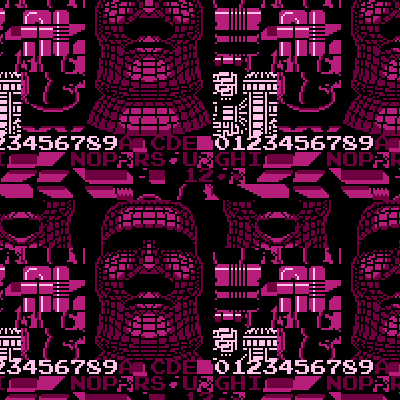 SUPERBROTHERS is a one man army, when it comes to pixelwork. Mr. Craig D. Adams, standing behind this entity, already released two pixel films, and a great number of illustrations on various topics. Once you’ll see his minimal and in the same time rich style of work, you’ll never confuse it with anything else. What could you say in 256 characters? To get an idea; it’s a little more than one and a half text messages on your mobile phone. 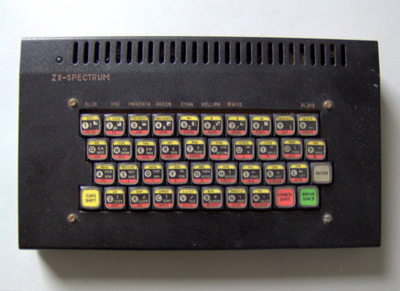 Now if you had to program something in 256 characters, what would, or maybe mostly could that be? Highly unusual, very little potential but tremendously charming. 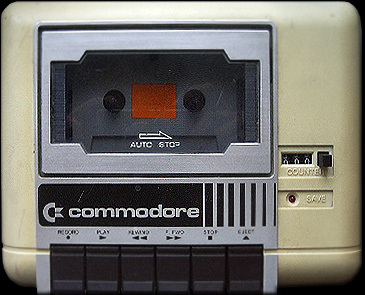 The noise of data, perhaps known to some as playing ‘software tapes’ in regular cassette players, in this case with the classic tape drive of the Commodore 64. Unorthodox put to ‘use’ by a music editor with a graphical interface. The motion designers boutique called Shynola from England made an awesome video for Junior Senior back in 2002. 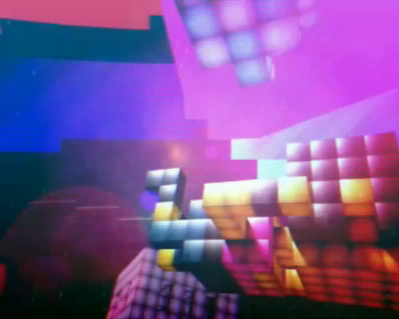 The music is not really 8bit related, but the visuals are for unknown reasons. Beyond that, the music video is totally outstanding. 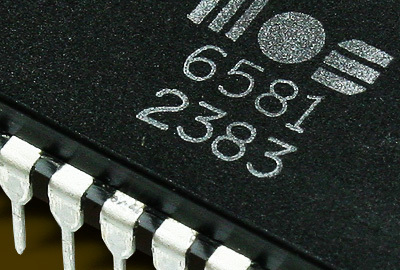 The practice of introducing artificial limits on already naturally limited hardware is something that has grown to become an artform of its own in the demoscene. 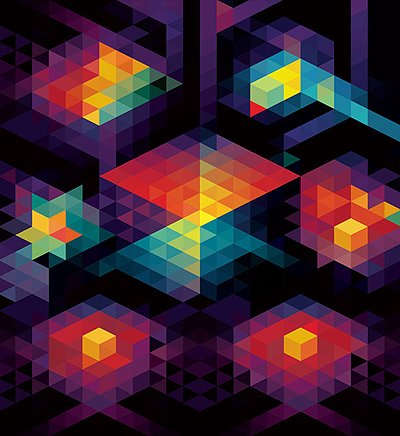 In 2006, at the annual Breakpoint party in Bingen, Germany, this artform had one of its finest hours. The community of Pixeljoint is one with a lot of talent. Their memberlist contains quite a number of praised artists. From professionals to hobbyists, you can find them all there, but one thing they have in common, they’re serious about their art. Delaware is an art collective from Japan. Their work covers the wide range of fields from cross stitch to installations to live performances. They refer to themselves as ‘Artoonists’, a combination of Art and Cartoon. Richard Alexander Caraballo aka Minusbaby is a musician, designer and photographer from New York City. 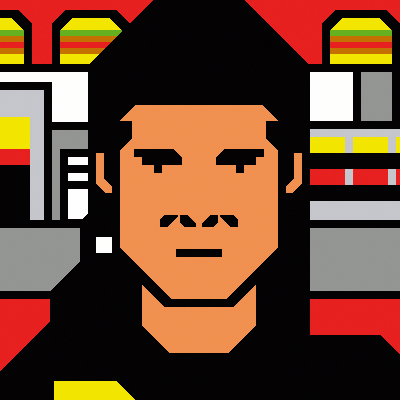 Maybe best known for his work and membership of 8bitpeoples, he’s one of the driving forces in the US chipmusic scene. The 8bit communities have adapted to trends like podcasts. Since 2008 has nearly ended, it’s time to mention a small selection of those wonderful compilations which are a must-have on your mp3 player. In the age of a fast visual culture it’s easy to walk by things which deserve a bit more dedication to be appreciated. One year ago Hein Holt released Mutations, a typical example of that. 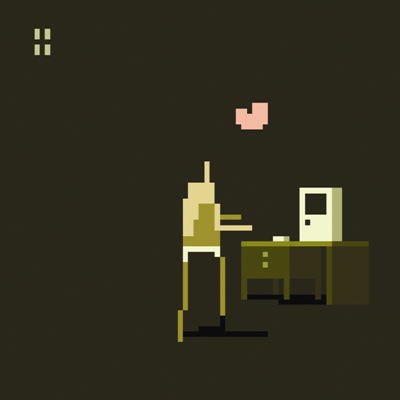 ‘A time-based PETSCII animation’? I have problems finding a good brief description to this wonderful piece of art. 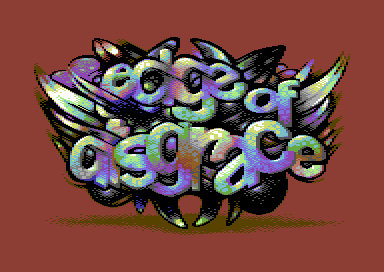 Nonetheless, Radek ‘Poison’ Stypczynski, an experienced demoscener who’s found his path in a creative living for many years, still utilizes the c64 for projects like this one. Sometimes you find 8bit references in places you don’t expect them. Yet not often they are as pleasantly surprising as this one. Somewhere last October over 200 members of the Commodore 64 demoscene community visited the X2008, an event in The Netherlands. It was a gathering of generations of demosceners, growing in number with each party edition.